Fast forward twenty-three years in Louellen and Eli Friesen’s family. Their firstborn, John, is a bachelor having the time of his life. 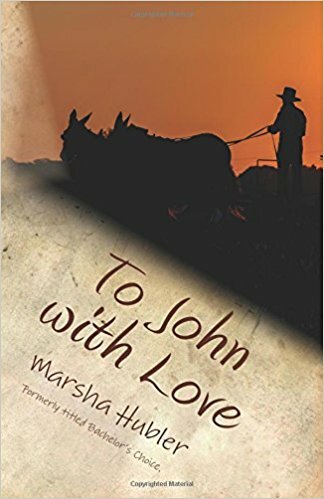 One of the most handsome, eligible young men in the Mennonite community, John’s never been in a hurry to choose a wife. He enjoys the simple life of farming and breeding registered Tennessee Walking horses. Every unmarried gal in the Mennonite community has her eyes on John. He’s the talk of the quilting circles and Sunday fellowships. Three girls secretly determine to win John’s heart. Horse lover Nanette Peachey, spitfire business woman Mandie Kauffman, and soft-spoken homemaker Katrina Shoffler all care deeply for John and initiate their own plans to have him as their husband. However, John’s lackadaisical attitude frustrates not only the girls but his family as well. Will carefree John ever choose a wife or will the three gals get tired of waiting and marry other pursuers?